Three businessmen who flogged illegal set-top boxes to pubs so they could screen Premier League football on TV have been jailed for a total of almost 17 years. 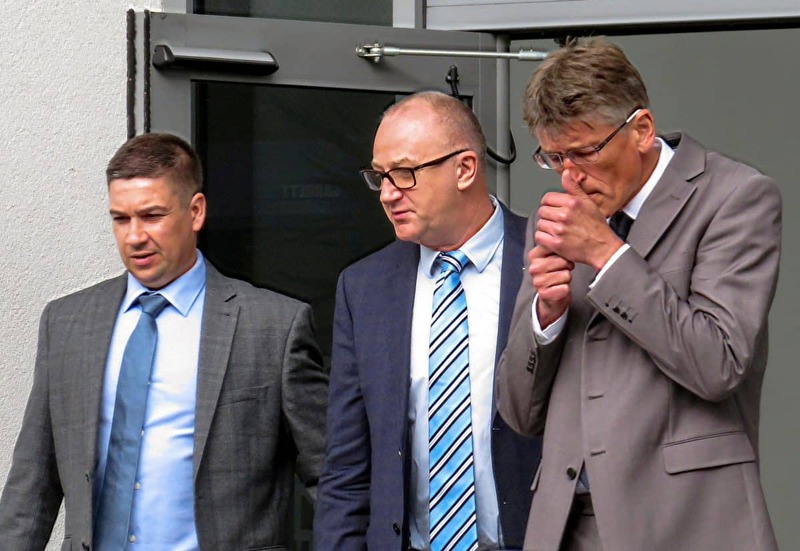 Steven King, 50, Paul Rolston, 53, and Daniel Malone, 41, supplied boozers with dodgy systems which allowed them to show live games at a cut price. A court heard how broadcasters such as Sky TV lost more than £10 million pounds in revenue as a result of the trio’s scam. The conmen supplied set-top boxes which were capable of receiving both satellite and internet signals to pubs across the country. It meant that the landlords could screen Premiership games and other sporting events without making the appropriate payments to official broadcasters. King, Rolston and Malone all denied conspiring to defraud broadcasters and the FA Premier League. But they were found unanimously guilty by a jury sitting at Warwick Crown Court following a four week trial. On Wednesday (20/3) King, of Stoke, Coventry, was jailed for seven years and four months. He had “playing the leading role” through his companies called Digital Switch and then Dreambox TV Ltd.
King’s “right-hand man” Rolston, of Holbrooks, Coventry, was caged for six years and four months. Malone, of Potters Green, Coventry, who was described as “a cog in the machine”, was sentenced to three years and three months behind bars. Sentencing, Judge Peter Cooke said: “I don’t accept that ambiguity surrounding copyright law was anything other than a fig leaf for an operation which was widely understood to be illegal. “You Steve King set up this business in Coventry. You saw an avenue you sought dishonestly to exploit, and it was not long before you recruited Mr Rolston. Judge Cooke told Rolston: “I accept you were taken into a pre-existing business. The jury heard between May 2008 and May last year they had defrauded Sky and other pay-TV broadcasters by supplying the illicit devices to pubs. Prosecutor David Groome said the fraud operated in three ways – by domestic cards being provided for use in a commercial setting, through ‘card sharing,’ and by internet streaming. To ensure that only those who have paid for the service are able to watch them, broadcasts are encrypted, and a set-top box and viewing card are needed to unscramble the signals. During the period covered by the fraud domestic Sky customers paid a subscription of £47.50 – but the Sky Ultimate service for businesses was based on the pub’s rateable value. And for Dreambox’s pub and hotel clients, that would have been an average of £800 a month if they had not been receiving the broadcasts illegally. Premier League rights are worth a staggering £8 billion a year worldwide. But the defendants supplied pub landlords with boxes which could receive broadcasts from foreign broadcasters. This involved them being downloaded onto a foreign server and then re-broadcast over the internet or by ‘card-sharing’ where a signal was received and then re-broadcast. Simon Phillips, defending King, said: “It is clear that he was the leading man in this organisation. He set it up. He accepts he’s been the key figure. “Of course, looking at the figures, we concede the loss to pay-TV must be in excess of £10 million, but we invite Your Honour to have regard to his individual benefit. “In a good year his income amounted to £60-70,000.